Mexico’s was the second deadliest conflict in the world last year, but it hardly registered in the international headlines. As Syria, Iraq and Afghanistan dominated the news in 2016, Mexico’s drug wars claimed 23,000 lives during 2016 — second only to Syria, where 50,000 people died as a result of the civil war. “The death toll in Mexico’s conflict surpasses those for Afghanistan and Somalia. This is all the more surprising, considering that the conflict deaths are nearly all attributable to small arms. Mexico is a conflict marked by the absence of artillery, tanks or combat aviation,” said Dr. John Chipman, chief executive and director-general of the International Institute for Strategic Studies (IISS), which issued its annual Survey of Armed Conflict on Tuesday. 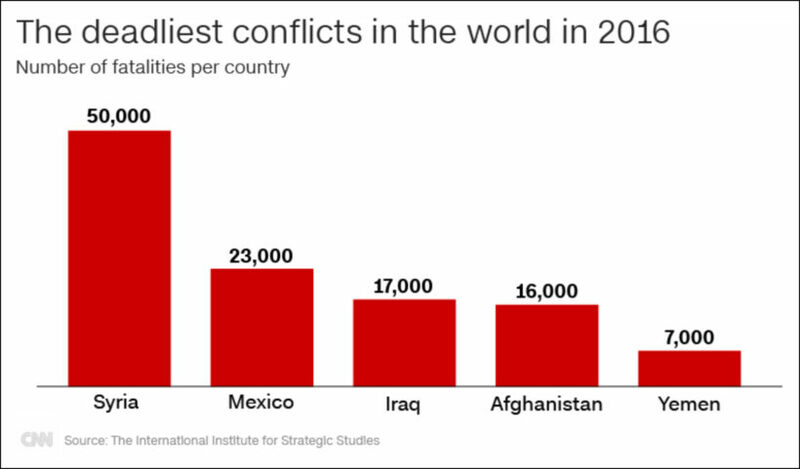 There were 17,000 conflict deaths in Mexico in 2015 and 15,000 in 2014 according to the IISS. Voronkova said the number of homicides rose in 22 of Mexico’s 32 states during 2016 and the rivalries between drug cartels increased in violence. “It is noteworthy that the largest rises in fatalities were registered in states that were key battlegrounds for control between competing, increasingly fragmented cartels,” she said. Rivalries between the cartels wreak havoc on the lives of civilians who have nothing to do with narcotics. Bystanders, people who refused to join cartels, migrants, journalists and government officials have all been killed. (Adapted from a CNN report). 1. What type of media bias is illustrated in this excerpt? 2. Why do you think the drug war crisis in Mexico is largely ignored, whereas some stories (the crisis in Syria, the firing of FBI Director James Comey) receive multiple and on-going reports? 3. The IISS report also included the conflict in Central America. Were you aware of the conflict in Central America? 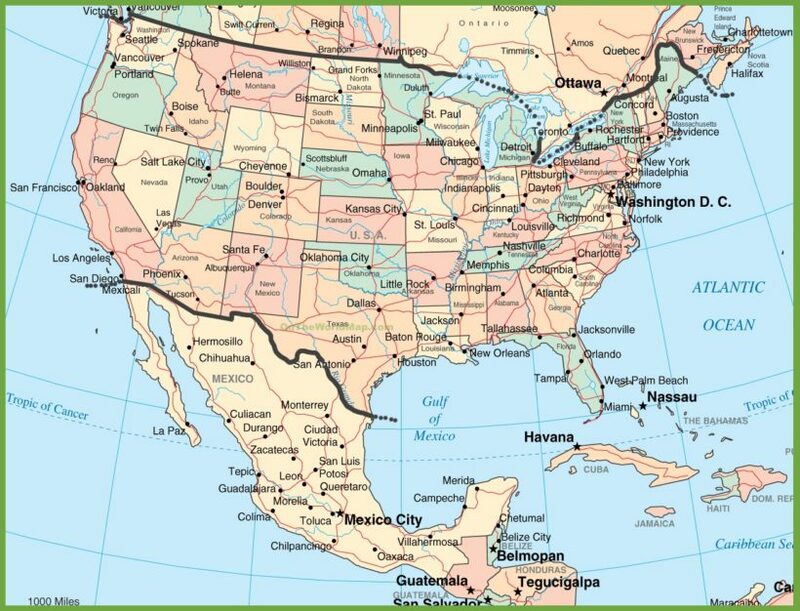 Possible answer: the conflicts in Mexico and Central America will affect the everyday lives of Americans – violent drug cartel members committing crimes in the U.S.; the ultra-violent MS-13 gang wrecking havoc in many states across the U.S.
Also, it does not fit the media’s narrative. By reporting on the conflict in Mexico, they would have to admit there is a huge drug cartel problem that is concentrated on selling drugs in the U.S.